If you’ve played Fallout 4, you’ve probably come across Takahashi, the ramen-making protectron in Diamond City. His ramen is real. According to the Japanese press (namely, Dengeki PlayStation and Famitsu), Bethesda has sent out “Nani ni Shimasuka?” (What will you have?) instant ramen with sio (salt) broth. 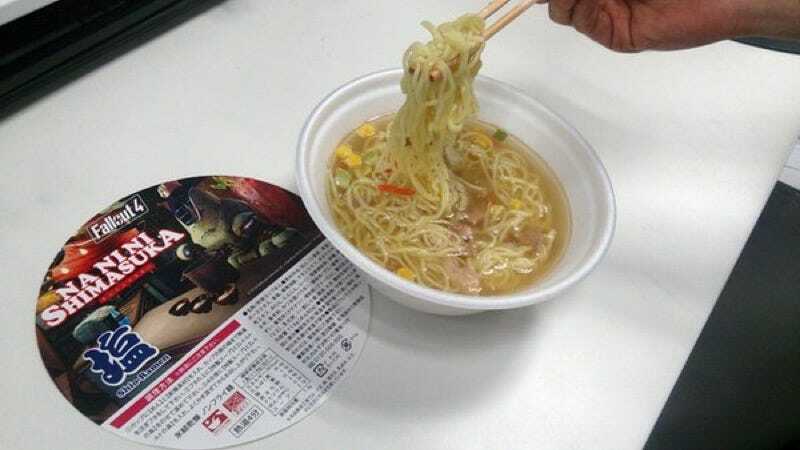 Don’t know if this will go on sale, and I kind of doubt it will as this looks like a PR stunt, but if it does, it would be neat to see this cup ramen on store shelves.